If you’ve been following along you’ll know that I’m in the middle of my ‘Getting Organised for 2016’ blog series. I had intended that Part 2 be about my university planner, but since I still have almost 2 months until uni begins for the year I thought I would skip right to Personal Growth Planning instead. The one thing I’ve found about goal setting for personal growth is that to see results I really need to make a plan, and for me (and most planner addicts) that means putting pen to paper. And the more beautiful the paper the better! The one resource I swear by for personal growth and goal setting is the Leonie Dawson life planning kit. It’s beautiful and inspiring, as well as being quite inexpensive, and best of all, it really helps me to focus on all the different areas of my life. There are a few options available from the site, if you just want to focus on personal growth in 2016 there is a ‘life‘ planner, if you want to expand your business in 2016 then there is a ‘biz‘ planner, and if you want to flourish in both areas you can get a discounted combo kit. There is also a yearly planner/diary type thing (but as you know I’m all set in that department for 2016). I’m feeling pretty comfortable with my business growth from last year so I skipped the biz planner this year and just bought the 2016 shining life kit, which includes a gorgeous 160 page goal setting book and a yearly wall planner. The book itself is gorgeous, with beautiful illustrations and thick glossy paper. It sounds silly but every time I open it I feel so excited for 2016. One of my favourite parts about the booklet is the “closing ceremony” section. Before you begin planning your goals for 2016, you reflect on 2015 and celebrate your wins and take stock of what you achieved (as well as what you didn’t). Each section has about 5 pages, filled with questions and illustrations to help inspire you. About half way through the book is a ‘100 things to do in 2016’ section which I LOVE. As a long time ‘project zero-er’ and total list addict I am super excited to fill in this part (and start ticking things off!). There’s also lots of extras like what to do when you ‘fall off the wagon’ and forget to chase your goals and how to deal with bad days, but I won’t share too much because half the fun is opening the book and taking a look through it for yourself! 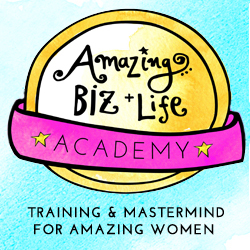 There is also a Facebook group of “Shining Life & Biz” fans filled with lots of inspiring and helpful women, and Leonie herself has lots of programs and resources available on her site, but I can’t vouch for them because I’m just a stationery devotee, I haven’t tried out the rest of her stuff. This particular bundle is the 2016 life goals workbook which cost me $21.95 (AUD). The biz goals book costs the same, and there are also bundled kits available, as well as a more inexpensive digital version of each. So! That’s it for my personal goal setting. 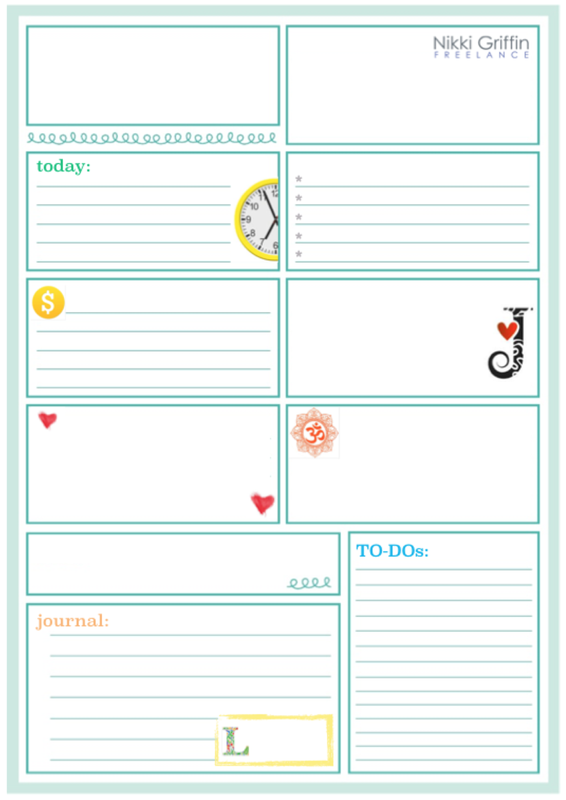 If you’re using a different planner or resource for your personal goal setting I’d love to read about it. Leave me a comment below. Stay tuned for my 2016 university planner set up, coming later this week. The holiday season is one of my favourite times of year because the approaching new year means a shiny new planner set up. Generally throughout the year I try not to change my planner up too much, so the new year gives me an opportunity to tweak my current system and add some new goodies to my stash. My planner life consists of 3 separate areas, so over the next week I’ll publish 3 different posts to give you an idea of where I’m at and what tools I’ll be incorporating to keep me organised in 2016. This first post will be about my day-t0-day planner, followed by one for my study/university planner, and one for my personal growth and goals set up. If you’ve read my “how to use a planner to get organised” post, then you’ll know that I am a big fan of only having one active calendar, no matter how many planners you have. So, while I have 3 planner systems, only one of them has an actual calendar in it. In my opinion this is crucial for keeping on top of everything in your life. More calendars means more ways for stuff to fall through the cracks which is just setting yourself up for failure. This year I’m using my trusty old Holborn Zip as my main planner. I’ve had this lovely thing for about 4 years now and it’s in great shape. 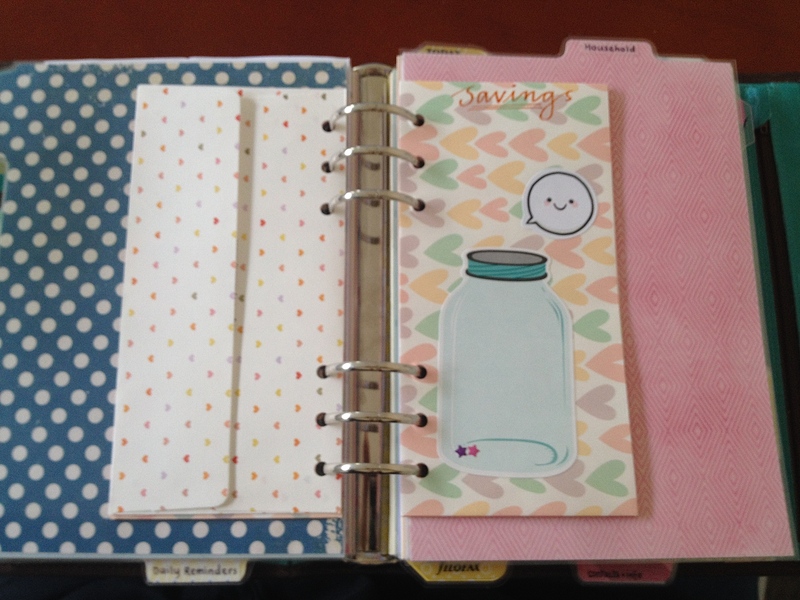 I also have an A5 VDS which I adore, but nothing beats being able to stuff things into a zipped planner and know they’ll be safe until you need them again. Meet the Holborn. She’s not as pretty as some, but she’s not delicate either and that’s what I like about her. This year I’ve chosen printable inserts from the “Perfectly Organised” etsy store. They are very similar to what I was using last year, but with a slightly different colour scheme to make it feel fresh and new. The main thing I’ve found with a weekly view planner, is that I need a section to put upcoming events/appointments. So I’ve changed the IMPORTANT box in this printable to a NEXT WEEK box, where I can write down any big events in the coming week. That way I don’t get blindsided on Monday morning when I flip the page to the new week. I don’t do a lot of decoration in my main planner, but I do allow myself one planner luxury throughout the year and that is stickers. There’s just something about playing with stickers that makes me happy. I tend to prefer functional stickers over decorative ones, and my favourite way to create stickers that work for my family is by personalising the Erin Condren photo stickers. They are $5 per sheet of 30 stickers and you can put anything you like on them. You can have the same sticker 30 times or 30 different stickers or any combination in between. I got a bunch of these this year, including: swimming lesson stickers for my daughter, “due” stickers for work projects, “7 days” stickers to warn me of uni assignment due dates and so much more. It was a lot of fun creating them and they really stand out in my planner which makes staying organised super easy. This section has all of our bank account information, utility account numbers, license numbers, passport details. It’s basically a quick reference guide for anything we might need for each member of the family. Here I write meal plans and shopping lists, all my budgets and financial information, as well as wishlists for each family member. Here I have a master to-do list, broken up into smaller to do lists including the flylady section, which I’ve covered in another post. PRO TIP: To avoid ‘to-do list panic’ choose only 3 things a day from the master list and add them into your personal tasks each day. If you get them done and have spare time choose 3 more. So that’s the basic run down of my day-to-day planner for 2016. If you have any questions about the set up (or anything else) leave a question in the comments below, and stay tuned for the student and personal goals updates coming later in the week. I’ve had my newest addition to my planner family for about a week now so I thought it was time to share some photos of the setup in my new planner. Those of you who follow this blog will know that I am a binder girl when it comes to my planners. I’ve been a binder fanatic ever since I got my first ever Filofax about 8 years ago, so adopting the ‘traveller’s notebook’ format has been a big step for me. If you don’t already know what a traveller’s notebook is, take a look at this “Filofax vs Travelers Notebook” video to get an overview. I did a lot of research before I decided on the system I wanted to test out, and in the end I chose to go with the Gillio Giramondo. It took some patience, the website has been out of stock forever (at least it feels that way to me!) and these babies are hard to come by, but I was lucky enough to be having a bout of insomnia about the same time that Melissa at Pembroke Papers, decided to list hers for sale on the Gillio Marketplace, and I snatched it up. As you can see I got the green epoca leather. Truthfully it wouldn’t have been my first choice of colour but I really love it! The Giramondo cover comfortably fits 5 notebooks inside, as well as the midori plastic zip insert. This is how I have the notebooks strung currently; two on the first elastic and 3 on the second. I am not using any elastic bookmarks, instead choosing to use oli clips as page markers. I prefer the neatness of the ollies and the dangly bits of the elastic bookmarks annoy me a little – I’m weird like that. My first insert is the zip insert from Midori filled with stickers and my “If lost please call” project life card. Then I have a Ray Blake Original month on 2 pages (MO2P) insert which has all of 2015 and 2016 inside. Next is the Ray Blake day on 1 page (DO1P) inserts. These hold 2 months to a booklet. I have the January opening of the first booklet oli clipped to today’s opening in the second booklet so I easily move between the two booklets without having to flip between unnecessary pages. I use the DO1P pages in the bullet journal format to easily see my tasks, notes and events for the day. I’ve only been using this system for a week now, but I’m loving it so far. It’s not as pretty as my Life is Crafted inserts but it’s certainly as functional. The fourth booklet was a gift included in the Giramondo parcel from Pembroke Papers (thanks Melissa!) and I use that one for my brain dump book, and the fifth booklet is a standard Midori lined notebook which I use for various lists. So how is it working out for me? Well, the Gillio Giramondo cover is gorgeous of course. Gillio are known for their spectacular leather and this cover is no exception. But it’s functional too, the Giramondo cover is slightly wider than the original Midori one, so it can hold more notebooks without overhang which I like a lot. With my current set up none of my inserts are touching the closure elastic at all which I love. 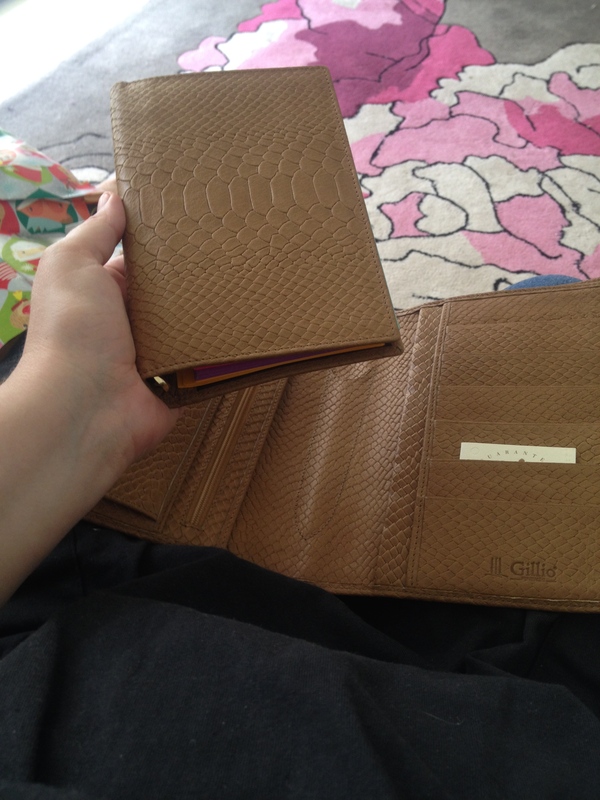 One of the reasons I bought the Giramondo over other brands was because it had the additional pockets and credit card slots but actually I’m not using them at all. As for the inserts/set up, I’ve been in the TN now for a week and I haven’t even glanced at my Van Der Spek. Y’all know I love the A5 size binders because you can fit so much in, I can never get used to a personal binder because there just isn’t enough writing space. Well, this is the best of both worlds. It’s more portable than an A5 (by a lot!!) and because there are no rings, you don’t lose ANY writing space like you would with a personal binder. So, it turns out that this binder gal might just turn out to be a TN girl after-all. The system is excellent, and the Giramondo cover definitely gets 5 stars. This year has been a good planner year for me. My collection has grown, and shrunk and grown again, and I have expanded my taste from being solely a ‘filofax gal’ to being a bit of a planner connoisseur.. at least that’s how it felt this morning when this beautiful Mia Cara landed on my doorstep! Those of you who follow the blog will know that I splurged on a Van Der Spek earlier this year, and while the VDS has become a permanent part of my collection (Velda is my time management planner), when the chance to buy this (third hand!) Gillio came up I simply couldn’t say no. I got a great deal on her, even though she is barely a month old, because Kate (her 2nd owner) felt bad about not loving her enough – this is how I know that planner people are my people, they are as sentimental about these bits of leather and metal as I am! She is going to be my ‘love binder’ where I’m going to collect all those little things that make me happy. AKA my thanksgiving, motivation and inspiration binder. Which is especially perfect since I bought her on thanksgiving day. Now if you’ll excuse me, I have to get back to petting her. I love this time of year.. I get so excited about putting together my planner for Jan 1st. 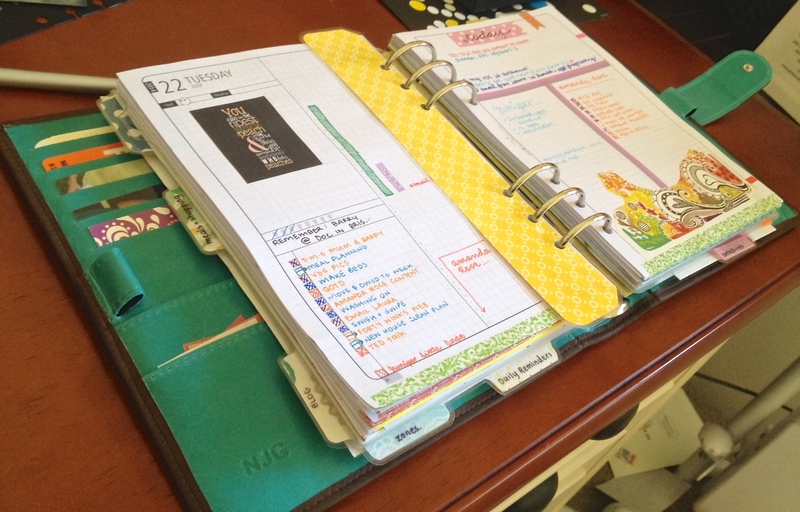 The idea of starting fresh with brand new planner pages gives me such a rush! Gosh, that sentence makes me sound like SUCH a planner nerd! Anyway, this last week has been especially wonderful because I’ve received 2 awesome parcels to help me prepare for 2015. The first from Erin Condren, with lots of sticker goodies, and the second with my amazing new Life is Crafted inserts for 2015.
Who am I kidding? Of course you do! The great thing about an Erin Condren parcel is that you know who it’s from as soon as you get it! And then this morning, I got a lovely express post parcel from the lovely Arienne at Life is Crafted. This year I’ve chosen to use both the week on 2 pages AND the day on 1 page. Arienne has lots of different versions available. These are the A5 dotty rage – untimed. Now I just have to wait for 2015 to arrive and I’m set! It’s been quiet around here the last little while – on the blog I mean, not in real life – in real life there’s been a lot going on, but the reason for the blog silence is that I fell into planner limbo. It all started with DIYfish.. I LOVE the DIYfish inserts, I love how flexible they are and I think that the fold-out-able weekly and month view is pure genius. I loved using them, but I don’t have a lot of free time. I have a business to run and an autistic 3 year old to chase after, so the DIYfish ended up being too high maintenance for me. Of course, by the time I had realised that DIYfish was too high maintenance for me, I had already RAK’d all my other inserts! So I was left with a system that wasn’t working for me and no back-up, and because it’s the end of the year, everything on the market right now is for 2015, not 2014. Needless to say, panic ensued. My first idea was to team up with a designer. Which was a great idea until we actually had to try and communicate (ha!). That didn’t work out – awkward! But then, in a flash of inspiration I decided to create my own instead. I’m not really a DIY kind of gal so this was a big undertaking for me. I can’t take full responsibility for the end result because the background design came from another free planner printable that I found on Pinterest a year ago and saved to my computer. I just worked over the top of it to personalise it to my needs. Of course I can’t for the life of me find where the printable came from (I’ve been scouring Pinterest all morning!) so if they are yours, or you know where they came from, let me know so I can give credit where credit is due! Overall I’m pretty happy and at least now I’m set for the rest of 2014. I’ve got some Life is Crafted W02P pre-ordered for 2015 so they only have to get me through until then! In the age of online shopping, the only sure-fire way for me to save money is to squirrel away cash. Otherwise my savings get frittered away, one late night Etsy purchase at a time, until there’s nothing left in my accounts (but my desk drawers are full of pretty stickers for my Van Der Spek!). Paypal has a lot to answer for. Anyway… to make sure there’s always cash around for when we need it, I have an envelope budgeting system set up in my lovely binder. I took some photos for you to see. * Rainy Day Fund – for unexpected expenses like broken appliances or lost phones. 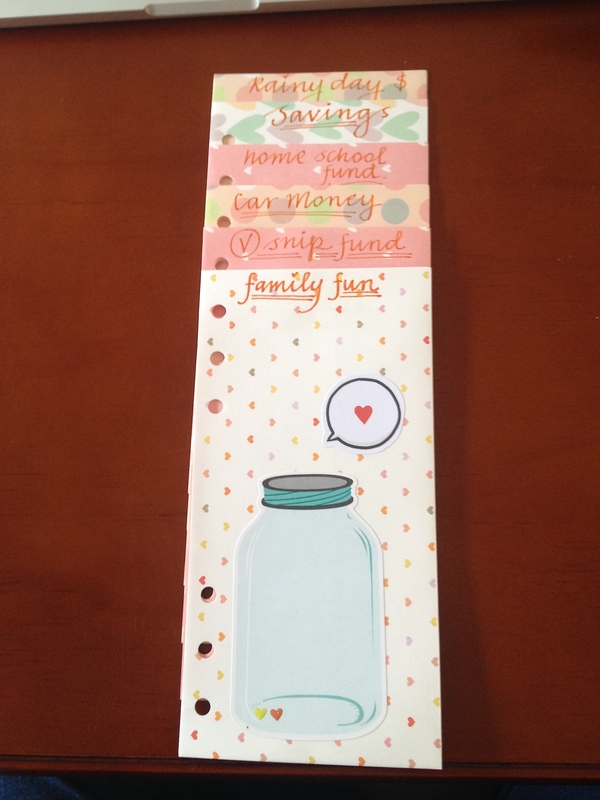 * Home School Fund – for fun excursions or school supplies. * Savings – for big purchases or holidays. * Car Money – these are usually yearly costs like registration, insurance or servicing. * Family Fun – a nice meal out, a day trip to the zoo – that kind of thing. I got the envelopes from this seller on Etsy, and punched them with my filofax holepunch. 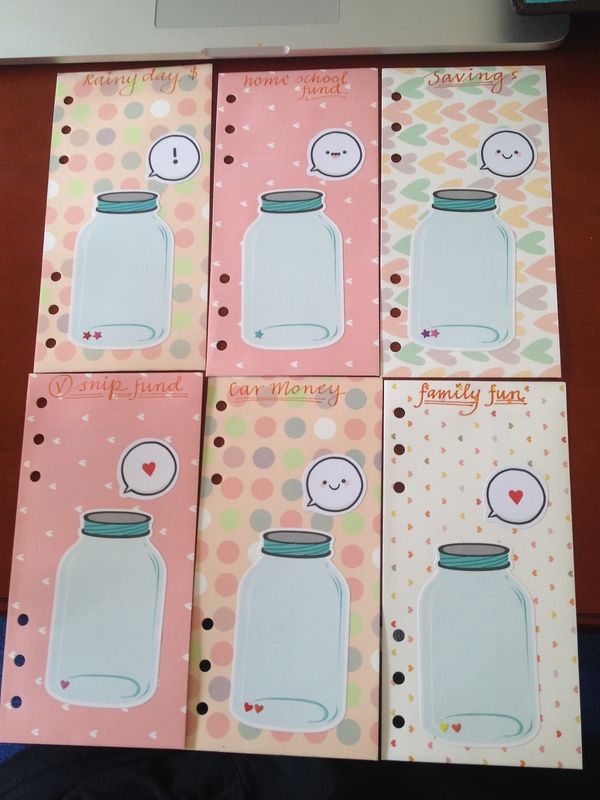 Then added the super cute mason jar stickers, which were a group buy on facebook. The speech bubbles came from Joey Design on Etsy. 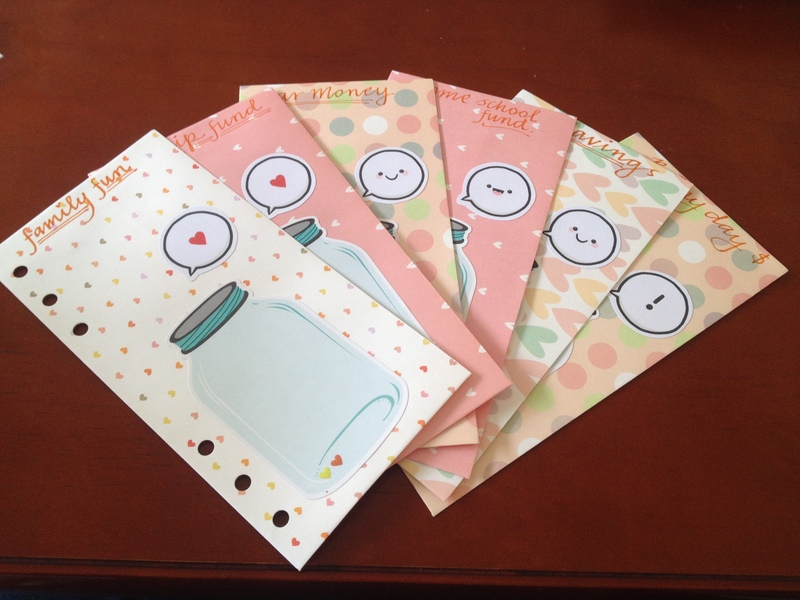 Each time I add some money to the envelope, I put a little star or heart on the outside. I work from home, so my filofax doesn’t really venture outside. 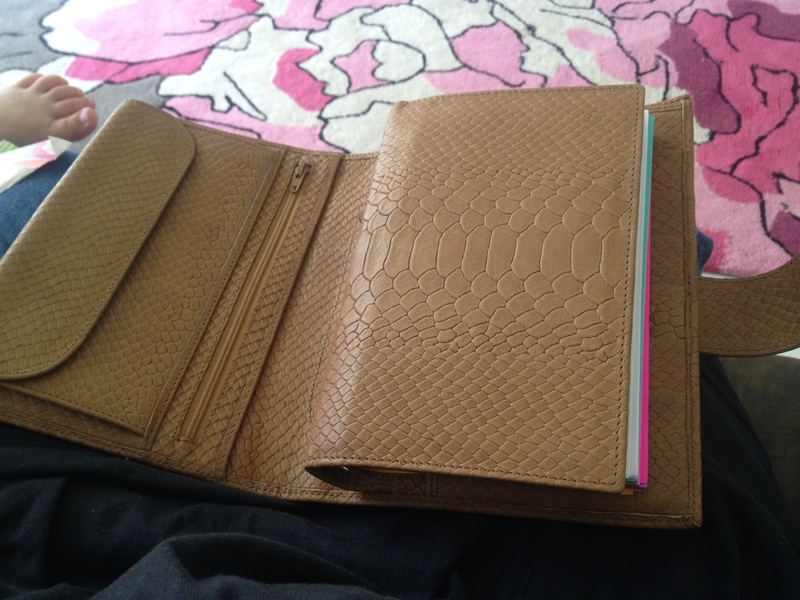 If you take your filofax with you everywhere this might not be a good system for you.. as if losing your filofax wouldn’t be heartbreaking enough, losing your life savings as well would really put a wrinkle in your day! For more planner related tips visit me on facebook, and if you haven’t already subscribed, don’t forget to subscribe to the blog above.